Sharing and explaining our science has always been recognised as an integral part of the remit and responsibility of all our scientists. We are keen to communicate our passion for scientific research to members of the public, to people of all ages and from all educational backgrounds. We are eager to invite you into the world of discovery – a world that is primarily funded by you - and introduce you to how we work, what we hope to achieve and help you to understand how together we are changing lives. To us, public engagement is by definition a two-way process, involving interaction and listening, with the aim of sharing mutual benefit. By engaging with each other we hope to learn as much from you as you do about us – we believe that this is the best way forward for true social and scientific progress. 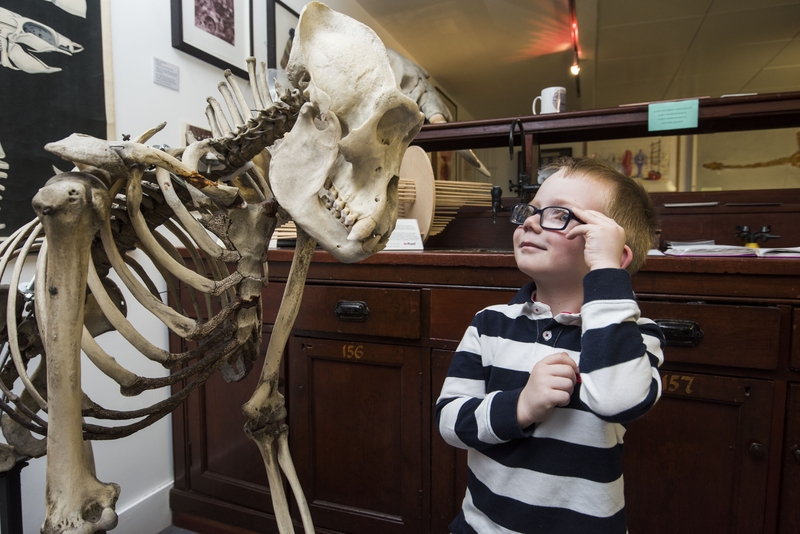 Our Public Engagement Projects aspire to create a culture of knowledge sharing and communication by accessing the widest possible audience through a variety of technological and artistic media ensuring that the understanding of science is delivered in a variety of novel and stimulating ways. As a School we have developed, in consultation with staff and students, a Public Engagement with Research Strategy. 1. Build on our creative partnerships to deliver a high quality, innovative engagement programme. This will inspire participation in and understanding of our research, making science relevant for everyone. 2. Engage a diverse range of people with our research. 3. Consult with our local communities to widen our reach and meet their needs. 4. Promote and support a culture of active participation in public engagement within our life sciences community. We commit to delivering this strategy over the next five years. Part of our vision is to build collaborative and creative partnerships to deliver a high quality, innovative engagement programme that inspires participation in science and makes science relevant for everyone. We work with our University Public Engagement team and are part of the University Public Engagement Forum. We have harnessed the wider expertise of staff from across the University to catalyse innovative public engagement practice through projects such as LifeSpace Science Art Research Gallery in partnership with Duncan of Jordanstone College of Art and Design and Outer Space | Inner Space with colleagues in the School of Science and Engineering. In addition we work with external partners and culture organisations in Dundee and beyond to generate new ideas in co-creation projects such as Animating Science with Dundee Contemporary Arts and Outer Space | Inner Space with Leisure and Culture Dundee at the Mills Observatory. 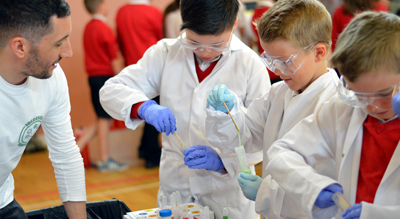 The School of Life Sciences schools outreach aims to support Scotland's schools and their delivery of outcomes and aims around science, topical and ethical issues, careers, and interdisciplinary learning. Check out the events we have planned for 2019. We celebrate public engagement in the School with an annual award, the Brian Cox Prize for Public Engagement. Support for the Public: Get Involved! Have a question for our Public Engagement team? Come and speak to Erin Hardee, Ali Floyd and Amy Cameron at our monthly drop-in sessions in the Street. These are held at 10 am on the third Wednesday of the month. We provide seed funds to University staff and students for competitive researcher driven projects to develop novel public engagement ideas within the Wellcome Trust remit. Click for details on projects funded by the Seed Fund. The University's Zoology Museum houses many fascinating specimens from around the world. Most of them were collected by the celebrated Sir D'Arcy Wentworth Thompson, the first Professor of Biology at Dundee. View their website to find out about opening times.